Liis Lemsalu (born October 20, 1992 in Pärnu, Estonia, is an Estonian singer. She rose to fame as the winner of the 4th season of Eesti otsib superstaari, the Estonian version of Idol series. She was then signed to Universal Music Group. After winning the show, Liis went on tour with other participants of Eesti otsib superstaari and released a single "Kõnnime seda teed" together with the runner-up of the show, Artjom Savitski. She has been perforiming in many places, as it is good for your PR. I took this photo of her before the female soccer game between Estonia and Italy. The head of the Physics Institute learned how to take photos and became avid enthusiast photographer, visiting all art events, while taking photos and now throwing his own photography exhibitions. Look out for them! Google Jaak Kikas to find out much more. A curious kitten looking to a home. Very eagerly. Does this picture tell you something about the Estonian summer sunsets in any islands? One walk at the fall produced these images of the atmosphere of Supilinn. Calm vol. 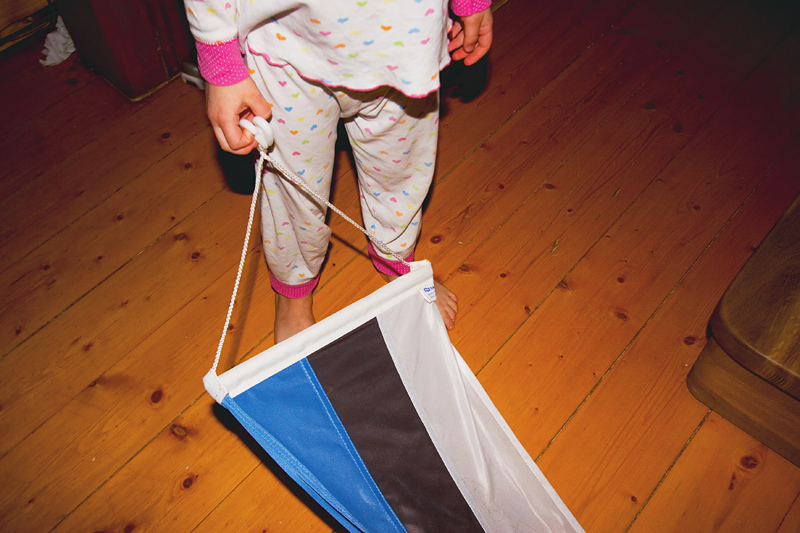 81 - Happy 98th Anniversary of the Estonian Republic! Nations, traditions and also people and their beliefs are so different and that is also why world is so interesting. Here are portrayed the Freedom monument located in Riga, the capital of Latvia. Look how massive it is, how strong the material feels like, it is guarded and at first lance looks like it is not meant for an average visitor, as there are even guards to guard our behavior. The latter two photos are taken in Setomaa. It is a region south of Lake Peipus and inhabited by the Seto people. The Seto language is a variety of South Estonian. The historic range of Setomaa is located on territories of present-day Estonia and Russia. Estonian Setomaa presently consists of lands in two counties counties located in southeastern Estonia and bordering Russia. Pechory has been the historic and cultural centre for the Setos. Along with Orthodox Christianity, vernacular traditional folk religion is widely practiced and supported by Setos. They have little prayer housess similar to those what Spanish or Mexican people have, often alongside by roads. They are always opened and waiting prayers to come to visit. It was small and humble and private and with a sepecial feeling to it. Another culture, another way. Read more about the Freedom Monument HERE. Just a cool guy, who looks a lot like Oddisee, the rapper from US, but of course it wasn't him, as he would come with PR and a concert. None of that happened that time in Muhu island, where Juu Jääb, the jazz festival took place with many visitors from all around the world. I love how music brings people together and kills all borders and differences. Music is the key. This is the only venomous viper in our country and I have been scared to death with it ever since 4! We caught one and delivered to far away from the home in Hiiumaa, to avoid any closer encounters. Few winters ago I visited youth center, they had a cuisine evening, where they made with children "Kirju koer". This is a special and ever so simple dessert, which I love ever since I was a little girl. It was great to relive the past again and spend time with the youngsters and help them to do "Kirju koer." Try to do it yourself, re recipe is here. Estonian State Forest Management Centre has a very cool building in Tallinn. They throw many exhibitions there, but I mean the house itself is a worthy of visiting without seeing any exhibitions there. I took these few photos to give you an idea how creatively the inner design has been put to use. Even the cloak- and washrooms are one of a kind. Enjoy the Estonian wilderness. Just yesterday one of the biggest gymnastics competitions Miss Valentine finished in Tartu. This is a photo from last years competition. This little cutie is whinchat. Not a very common sight for an average person, but very common in polder. That is where this photo was taken, under a setting sun. Not the best quality though, because it was impossible to get close to those little birds. Hopefully something better comes in the future. The whinchat (Saxicola rubetra) is a small migratory passerine bird breeding in Europe and western Asia and wintering in central Africa. Both sexes have a strong supercilium, brownish upper parts mottled darker, a pale throat and breast, a pale buff to whitish belly, and a blackish tail with white bases to the outer tail feathers, but in the breeding season, the male has an orange-buff throat and breast. The whinchat is a solitary species, favouring open grassy country with rough vegetation and scattered small shrubs. It perches in elevated locations ready to pounce on the insects and other small invertebrates that form its diet. The nest is built by the female on the ground in coarse vegetation, with a clutch of four to seven eggs being laid. The hen incubates the eggs for about thirteen days and then both parents feed the nestlings. Fledging takes place about eighteen days after hatching and the parents continue to feed the young for another fortnight. Moulting takes place in late summer before the migration southwards, and again on the wintering grounds in Africa before the migration northwards in spring. The whinchat is a common species with a wide range and the International Union for Conservation of Nature has classified it as being of "least concern". Read more about whinchat, HERE. Few years ago I got to shoot the opening of a very important traffic center or and intersection. Not sure abut the real name of the infrastructure. The mayor of the time was there, who is not difficult to recognize on the photos. Just a little overview of the life of politicians. The end of an era - closing down a store. Therefore so many photos, as for me this was an event on its own. 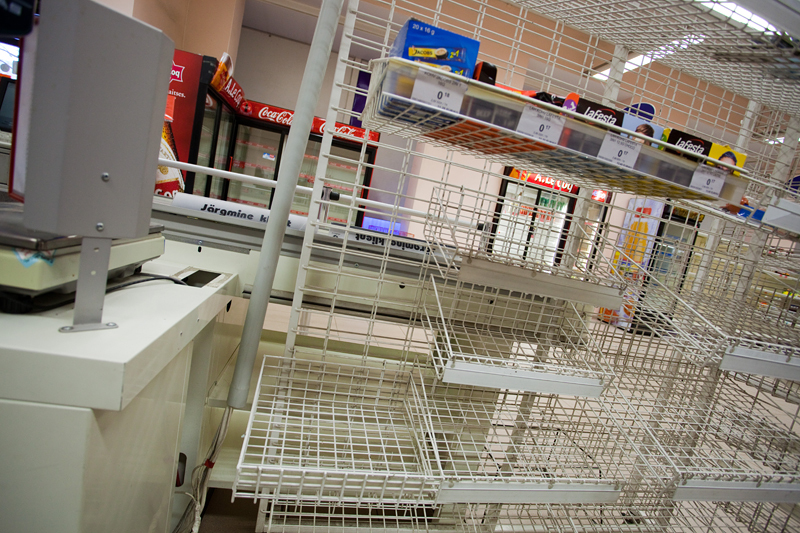 Anyway they closed "Tartu" store down the next day after my visit. I sneaked in with my camera and took photos of it all. 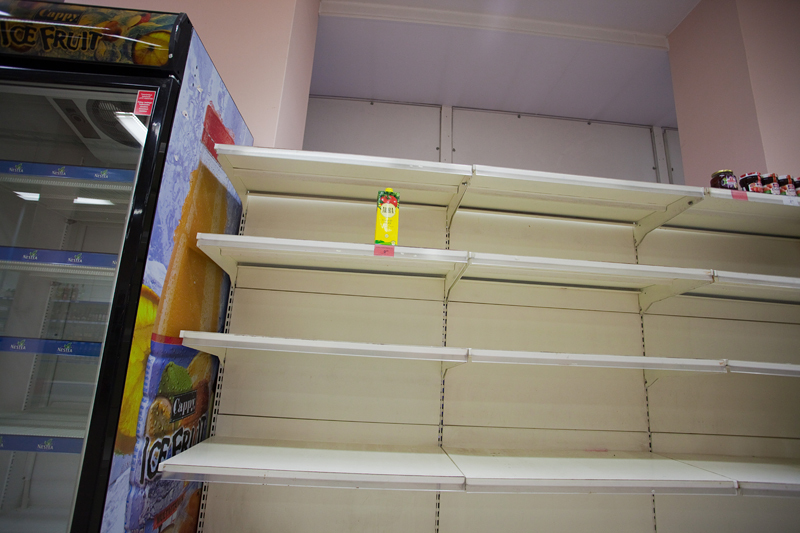 The shelves reminded me great deal of the last days of Soviet era in Estonia around the 1990's. I purchased two bananas and au-revoir! P.s. Thank god the place didn't stay empty long - a new store was opened - Re-use center. Great! I met this lovely woman Olly in Räpina while working there for a day. Impressive - 84 year old and still cycling and looking so good. Enjoying her new bike, a gift from the family. Such an inspiration! I needed to post a bike photo today, as I saw many people cycling this noon so freely and confidently, that it made me want to get my bike out as well, BUT it is actually very slippery. She has featured at my bicycle blog at worldbicyclist.blogspot.com. Check her out there. I quite do not know his name, but he was on the stage with Sean Nicholas Savage at Schilling 2012. They were quite eccentric and into themselves at the stage, but this is what we need - more freedom, liberation and positivity! Heard that pine is the most common tree in Estonia. What a beautiful kind it is! What an unlikely post by me! I have surprised myself. How you like it, do you see some similarities?